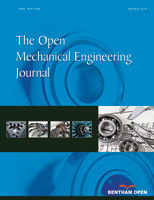 This paper is to present a rule-based cutting tool selecting expert system which has knowledge modules and rule bases. Besides, according to different process targets, the selection progress will apply corresponding constraints and rule modules. The logic of tool selection follows a decision-making procedure as an experienced engineers. The strategy of system is to guide the user through several standard steps: information input; feature recognition; selection of machining method; selection of tool material and type; calculation of process parameter and solving cutting problem. This system also has a modularized structure which allows adding new functions and new modules to expand knowledge base and data base. Modules involves in this system are composed of the user interface, knowledge acquisition facility, explanation facility, the knowledge base module, the inference engine and the database module.